How different? 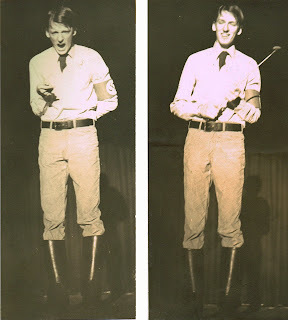 Here's a few photos from the school and the era where My Friend Dahmer takes place.. Above: students and teachers take part in the annual Student Council Slave Auction. Students bid on the "slaves", who all wear paper and balloon balls & chains. 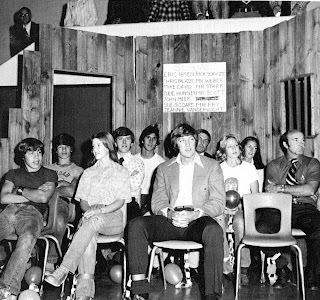 Note the set, made to look like a slave auction house, complete with barred window. The winners are the "masters" for the rest of the school day and can order them about as they wish, to carry their books, fetch their lunches, etc. Slaves often spoke in a comic "Yes suh, massuh!" jargon as they shuffled behind. It was truly appalling. And the most popular fundraiser the school had! This in a school that had ONE black kid. No, your eyes do not deceive you. This was a classroom skit! The assignment was, as I recall, to recreate a historic political convention. 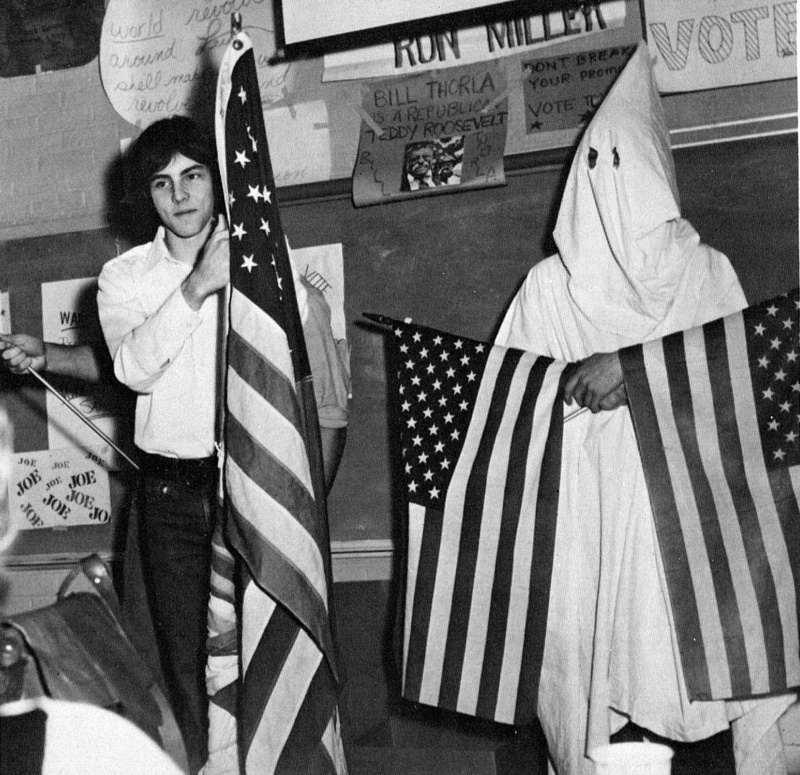 Naturally, some smartasses chose the Ku Klux Klan party. Can you imagine what would happen to a kid who wore a hood and cloak into a public school today? 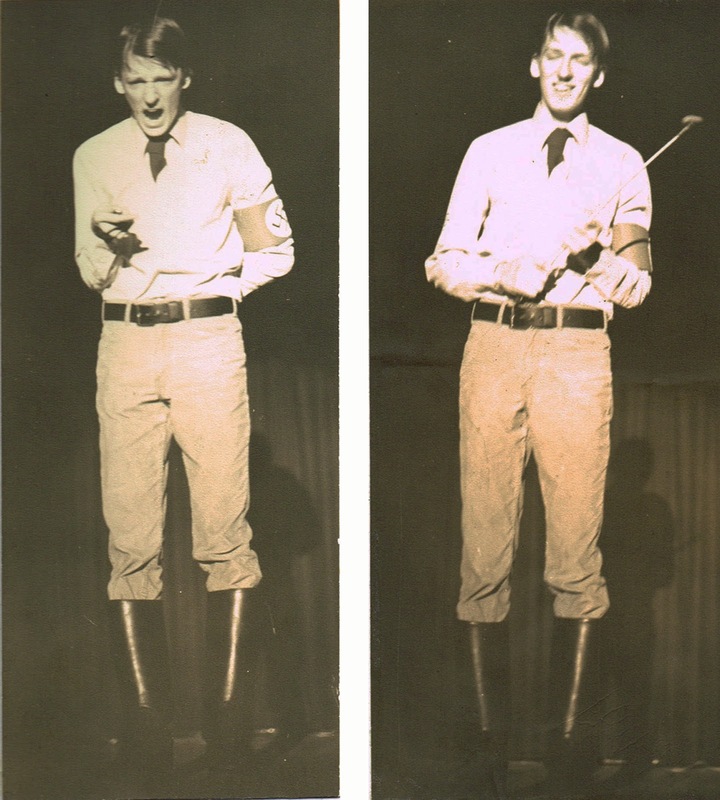 Of course, here's yours truly (above), as described in an earlier post, dressed up as Adolf Hitler for a talent show sketch. I'd be led out of the school in handcuffs today and charged with a hate crime! The boots are authentic German ones from WW2, borrowed from a schoolmate who was a... ahem... "WW2 buff." What that really meant was he was a closet Nazi! He collected Nazi artifacts, which were plentiful and inexpensive in 1978, only 30 years after the war. He went on the amass quite a collection of uniforms, flags, and weapons from Nazi Germany. Often he wore bits of uniforms, minus the swaztikas and other telltale insignias, to school! There is reportedly a large Nazi Flag on his living room wall now (not surprisingly, he still lives with his parents). He has run for various local elected offices, proclaiming himself a "far-right Republican," but everyone in town knows what he is and he always loses by a landslide. What's more, there were two other closet Nazis that I knew of in the student body! 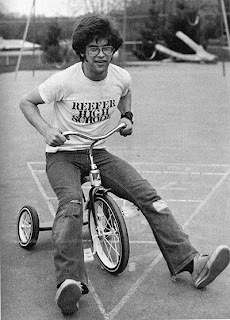 This guy (above), one of the school's top students, models the popular "Reefer High" t-shirt, a riff on the proper Revere High name. He wasn't a stoner, he just liked razzing the old alma mater. Again, what would happen to a kid who showed up at a zero-tolerance school with such a shirt today?